Storypark supports spell check, however this only works in the newer internet browsers. For the best experience, we recommend downloading and using Google Chrome or Firefox to access Storypark. You can download the latest version of Google Chrome for free, here. 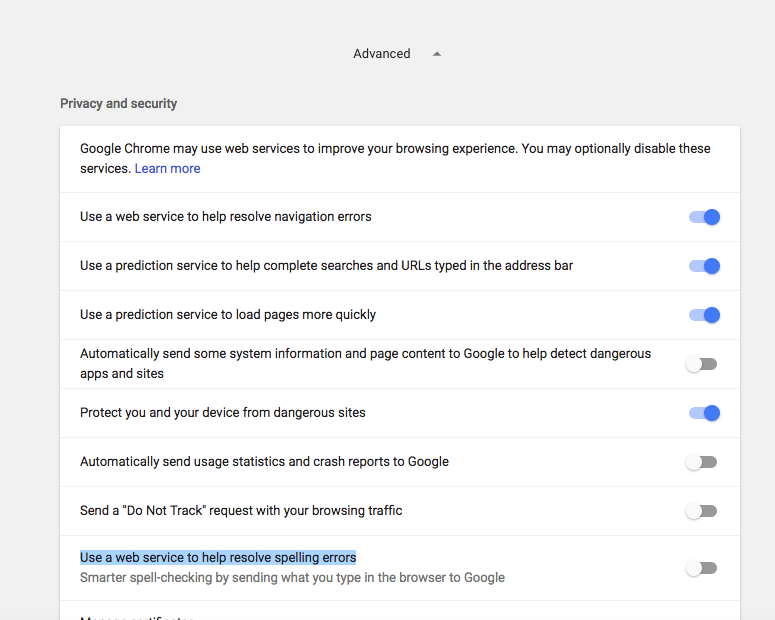 If you are already using Google Chrome, make sure spell check is turned on by tapping on Settings > Advanced > Privacy and Security and then turn on Use a web service to help resolve spelling errors. Spell check differs depending on the browser, if you are using Chrome it underlines the incorrect words with a red line. Right click the word to see options to fix the error. Internet Explorer 9 and below do not have an auto spell check built in. 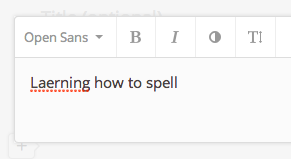 However IE9 does let you install third-party spell check add-ons. For security reasons it’s always best to use the latest version of your preferred internet browser. This article tells you how to upgrade IE to the latest version. We do recommend Google Chrome for the best experience though. For help turning on the spell check in IE10 and IE11, please refer to this article from Microsoft. In Chrome: Open Google Chrome and visit the Chrome Store to install the free Grammarly extension. Click Add to Chrome to start the download. In Safari: Open Safari, visit the Safari Extensions page, and click Install now to install the free Grammarly extension. Alternatively, navigate to this page, and the download will start automatically. In Firefox: Open Firefox and visit the Firefox Add-ons page to install the free Grammarly extension. Click Add to Firefox to start the download.